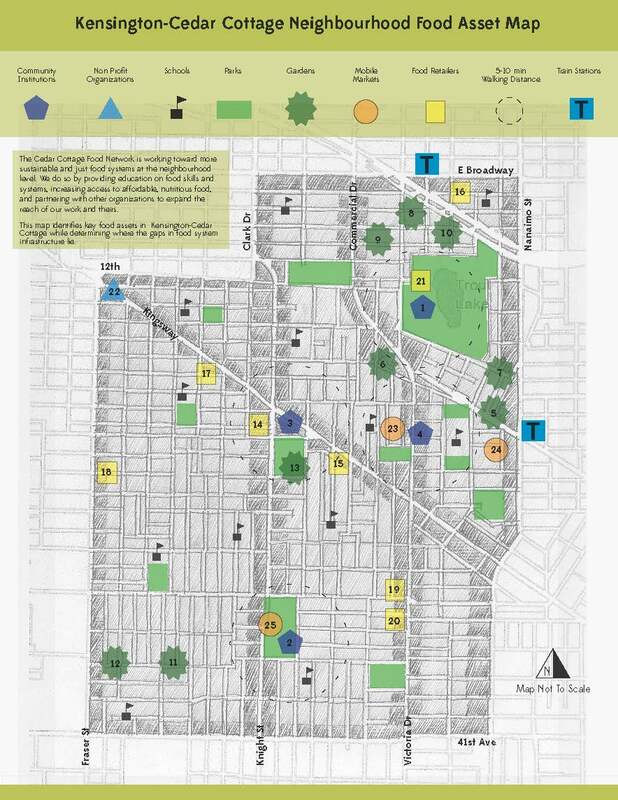 Cedar Cottage Food Network has worked with a designer to create the Kensington-Cedar Cottage Food Asset Map (click for full map). This map highlights food assets (grocery stores or markets, organizations offering food programs, gardens, etc.) and shows where there are gaps in food infrastructure. Part of our mandate is to help address these gaps either through supporting other organizations in their programs or starting our own. This map is current as of March 2015, but we may have missed something. If you see that a food asset in the neighbourhood is not represented on the map, please e-mail cedarcottagefoodnetwork@gmail.com. Comments are also welcome!